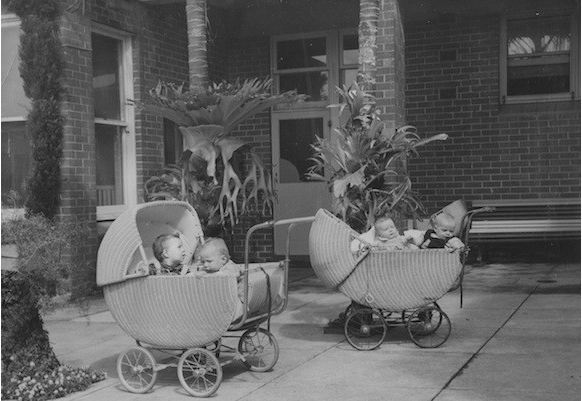 A University of Melbourne website that helps connect people who grew up in institutional care in Australia between 1920 and 1989 with their archival records has won a major international award. The Find & Connect web resource is the only project outside the US and Canada to win the Society of American Archivists Philip M. Hamer and Elizabeth Hamer Kegan Award, which recognises work that has increased public awareness of a specific body of documents. Find & Connect program manager Kirsten Wright said the website helped people to find what for many are the only records they have of their childhoods. “These records can be very important for people’s identities, not only in a personal understanding of one’s history and self, but also on a practical level,” Ms Wright said. Find & Connect also helps Care Leavers, including members of the Indigenous Stolen Generations and former child migrants, tell their side of the story. Find & Connect national editor Cate O’Neill said the work can sometimes be confronting for an historian. The official records can be inaccurate and unfair, preserving allegations and judgements on individuals who are often referred to as “inmates.” At the same time care leavers themselves often come forward to contest the official records. “Find & Connect presents histories from many angles, the institutional, the personal and the societal, but we give weight to the voice of the people with the lived experience, who in the past weren’t listened to,” Dr O’Neill said. The Royal Commission into Institutional Responses to Child Sexual Abuse found inadequate records and record keeping contributed to delays in or failures to identify and respond to risks and incidents of child sexual abuse and have exacerbated distress and trauma for many survivors. Ms Wright said administrative and historical records provided potential sources of evidence about the criminal abuse of children in care. She said it was important to preserve documents currently on the Royal Commission website to ensure they remain easily accessible for Care Leavers. “The website validates their experiences, and remains an important symbol of their efforts to be believed by the authorities. It contains information and testimonies that are of great value to the community,” Ms Wright said. “After so many years of being rendered voiceless about their own histories, to remove the site’s accessibility would be seen as another way of silencing care leavers. “Once the Royal Commission website is archived there will be no way to Google it, and page addresses will change, meaning the site and the important information on it, will be lost to many care leavers. Documents from the site may also be lost." In 2009 the Australian government issued an official apology to Forgotten Australians and Former Child Migrants and provided funding for the Find & Connect program and a suite of services for care leavers. The website was launched in 2011 and is run at the eScholarship Research Centre at the University of Melbourne.